Throughout the history of Alexander Wang‘s collaborative relationship with the Three Stripes, the two have created and unmistakable aesthetic that has resulted in a number of some the most recognizable collaborations in sneakers. Following the release of his recently dropped running collection, Wang has a set of two training sneakered given the Turnout Trainer monicker that boast a very chunky aesthetic complete with a number of repeated elements throughout the Wang x adidas catalogue. Both offerings come with a very durable outsole with a traction pattern that creeps up onto the shoes midsole while ushering in a notable midfooot shank and a customary upside-down trefoil logo. Its toe comes with a graphic of the sneaker’s catalogue information ranging from its color to its category. 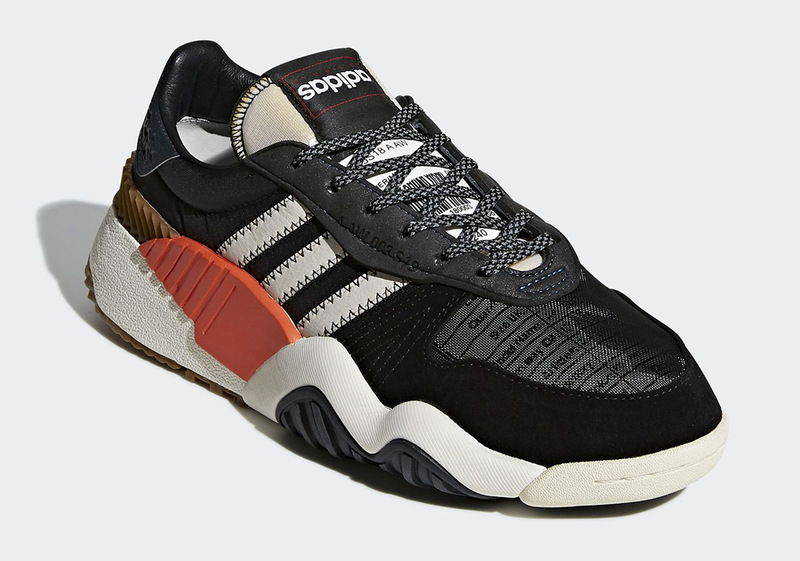 Fans will have a choice between a Core Black/Bold Orange color scheme as well as a Light Brown/Chalk White variety upon their arrival at Three Stripes stockists on June 23rd.